Last year I scared myself skiing the Wasatch backcountry. The reported avalanche danger varied between “considerable” and “high”— and it had been a particularly fatal year. Although I skied with a guide, I still got somewhat lost in my own fears and uncertainty. Part of my trepidation came from a lack of avalanche knowledge and experience. I’ve never been very good going along for the ride or following the leader. As a kid, I recall keeping myself awake during long car trips to ensure that the adult driver didn’t fall asleep at the wheel. I need the sense of control that only understanding provides. With this background, I spent a recent weekend in the Adirondack High Peaks taking a Level 1 avalanche course from the American Avalanche Institute and Cloudsplitter Guides out of Keene Valley. Though there have been few avy fatalities in the High Peaks, there are real dangers. Indeed, the ideal backcountry spots or “slides” are the treeless paths that landslides and avalanches have carved into the sides of Wright Peak, Gothics, Wolf Jaws and others; the name provides a clue that there might be hazards. The course began with a detailed discussion of snow slabs, faceting, surface tension, depth hoar, and other intricate concepts. Physics, too, played a role. The “angle of repose”— besides being a wonderful novel by Wallace Stegner— is defined as the steepest angle that will hold granular material on a slope face. 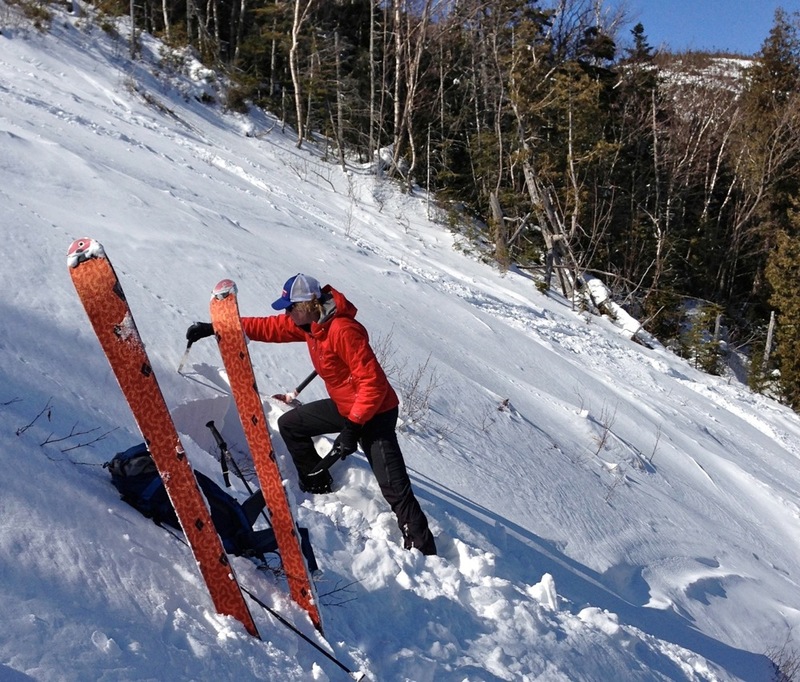 For backcountry skiers, it’s the angle at which snow is most likely to slide. The angle of repose for snow is around 38 degrees, and pitches in this range are often very attractive to skiers. Snow can slide at other angles too. A host of factors determine whether it will actually slide, but if you’re playing in the backcountry, skiing the angle of repose adds a level of danger. As the course moved to the field, we headed to the Angel Slides on the east, northeast aspect of Wright Peak, a group of avalanche paths topping put around 40 degrees. In assessing the avalanche conditions, we learned to focus on three things: snowpack, weather, and terrain. You can’t control the weather or snowpack, but our guides kept emphasizing that you can control your choice of terrain. As Stegner wrote, “wisdom is knowing what you have to accept.” If the snowpack and weather are favorable, slopes in the vicinity of the angle of repose—from, say, 35 to 45 degrees or steeper — are in play. If conditions were unfavorable, you head for lower-angle terrain. We reached the slides and we dug a number of snow pits — essentially big holes in the snow — that reveal the various layers or “slabs,” so you can determine how well layers are bonded. If they’re not sufficiently bonded, the top layers could slide—i.e., avalanche—when loaded by the weight of a person skiing or additional precipitation. By using these tests and myriad other observations, you can get a sense of the potential for danger. When we reached the top, we had gorgeous views of the High Peaks. Whiteface and its ski runs rose in the distance. We dug one last pit. Consensus was that the snow pack was solid. Avalanche assessments are rarely 100% certain—but this time we decided that it was safe to ski. 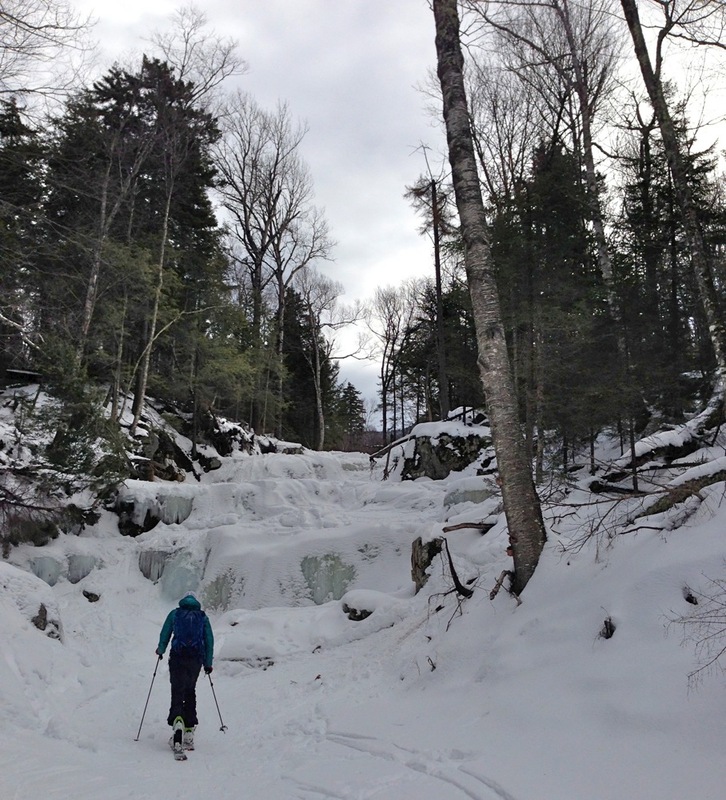 We enjoyed the soft snow at on the top half of the slide, taking turns making smooth, linked turns down the steepest pitch of the slide, and also enjoyed the more challenging ice, rock, and variable conditions of the lower half. That’s eastern skiing: rarely ideal, but often fun. 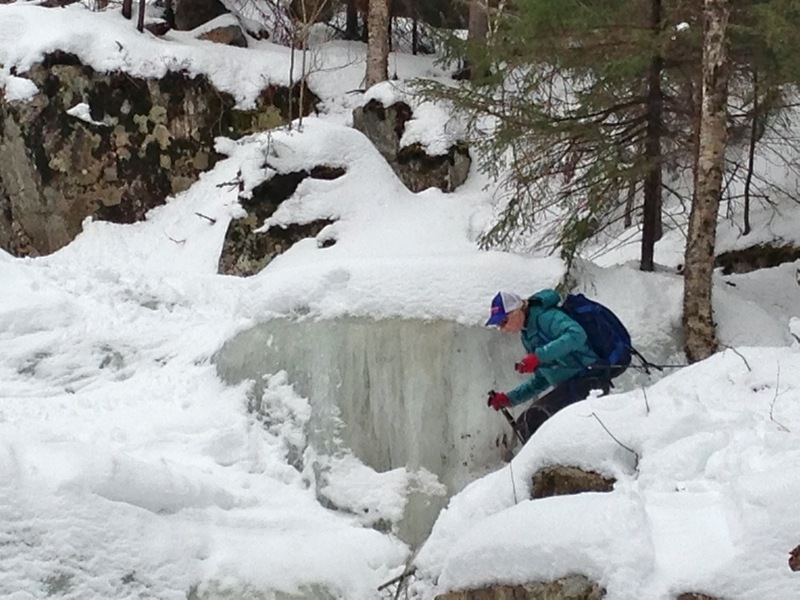 On our final day, we skinned up to Benny’s Brook, digging pits, talking snow pack, and enjoying the day. Much of what we learned made theoretical sense in the classroom, but for me it took three days on the snow to bring it together. I don’t consider myself qualified to venture into avalanche terrain on my own, but I do have a new sense of confidence that will serve me well when conditions are favorable. And when I ski with a guide in avalanche terrain, I’ll better be able to understand — and follow — his or her lead. Our sport has lost a lot of talented people in the last 20 years as backcountry skiing and extreme skiing has exploded in popularity with the masses. Education is always a good thing. 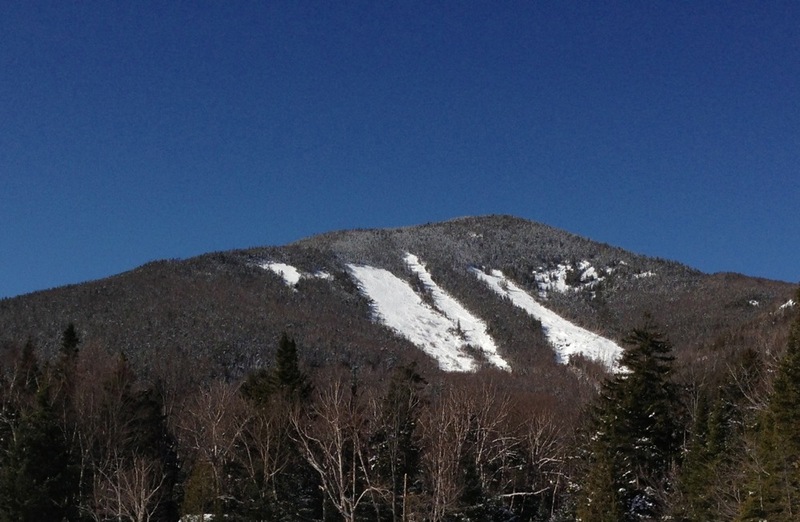 Many of us Eastern skiers think it can’t happen to us, which would be a false sense of security around a place like Mt. Washington or when we’re taking a trip to challenging, unfamiliar terrain out west. The increased amount of sidecountry — which includes out of bounds terrain accessible from ski resort lifts — has created new risks, as skiers are more able to plunge unknowingly and carelessly into dangerous terrain. A Backcountry Magazine issue this winter proclaims that there is no “sidecountry,” meaning that you should take all of the precautions in sidecountry that you would take in the backcountry — it’s still dangerous. All the new gear and false comfort of cell phones also can create overconfidence. Great piece. I especially like that you took this class in NYS, not out west. Great adventure. I hope to do one of these courses soon. It has been 15 years since my first Avi 1 course and I do not remember much. The beacon technology has changed as well. When I took the course the snow pack we had to work with was not deep enough to dig a pit and check layers. Several years later I had the opportunity to tour with the Snowbird ski patrol and we went over their avalanche control procedures and equipment, we toured the gun sites, got to see all the bombs and other devices, serious business out there.